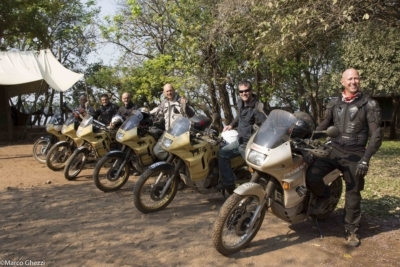 This tour will make you live a wonderful motorcycle experience in Botswana, a unique and unforgettable Country that is a dream for many travellers and moto-tourists. 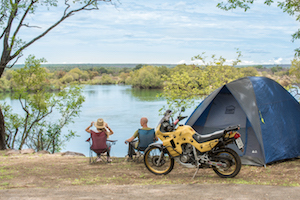 A trail that combines the joy of a motorcycle tour and the emotions of game viewing in Botswana national parks and exploration of real wilderness trails. 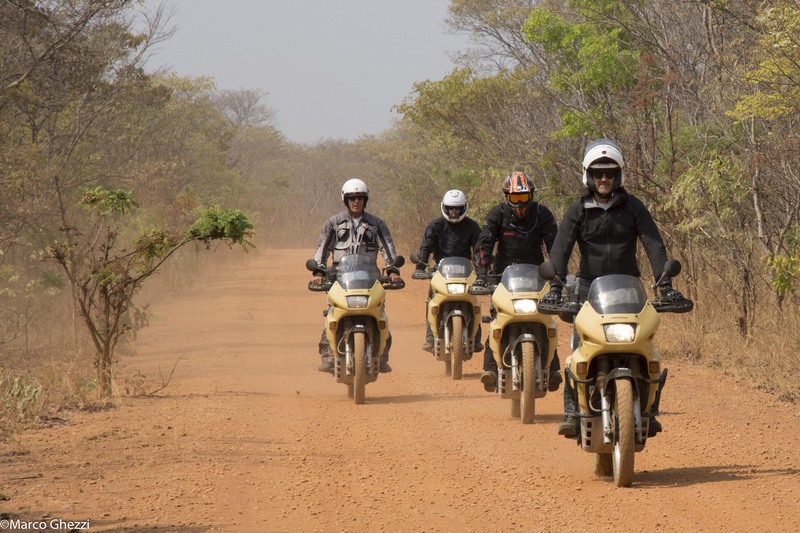 We will be using our “Big five” motorcycles, reliable Honda Transalp 600cc completely refurbished and properly equipped for on- and off-road stretches. 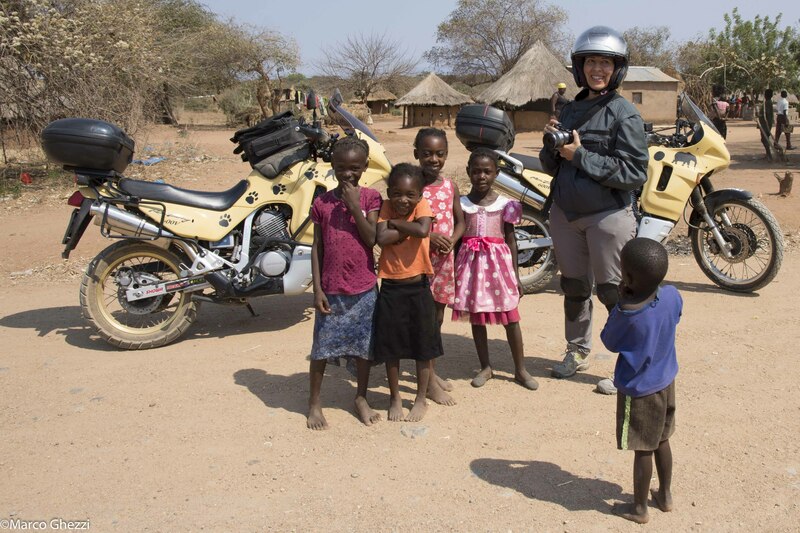 The group will be led by a motorcycle-riding professional guide and will be followed by a 4×4 support vehicle that will offer assistance, carry all luggage and camping gear, as well as motorcycle passengers who might decide to “take it easy” for a day or two. 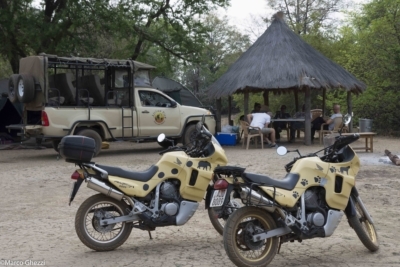 The tour starts in Livingstone and participants can decide if they want to conclude their tour in Maun or go back to Livingstone by motorcycle at no additional cost. Upon arrival at Livingstone international airport, you will be assisted in final preparations (local SIM card, forex, etc.) before your Safari starts. Transfer to a good level guesthouse centrally located. 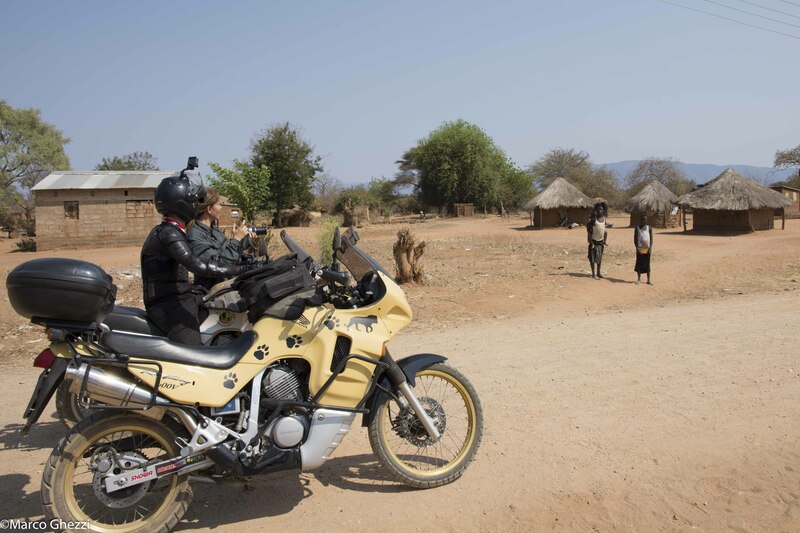 Check-in and delivery of the motorcycles. Time available for relaxing. Dinner not included. 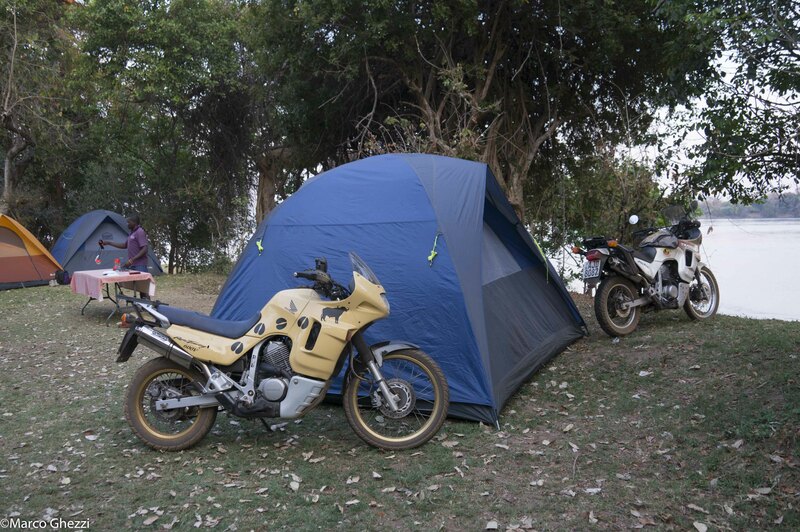 Day 2 :Livingstone – Batoka Gorge –Victoria Falls – Mosi-oa-Tunya N.P. In the morning we will ride to the Victoria Falls for a guided tour of the Falls on the Zambian side. 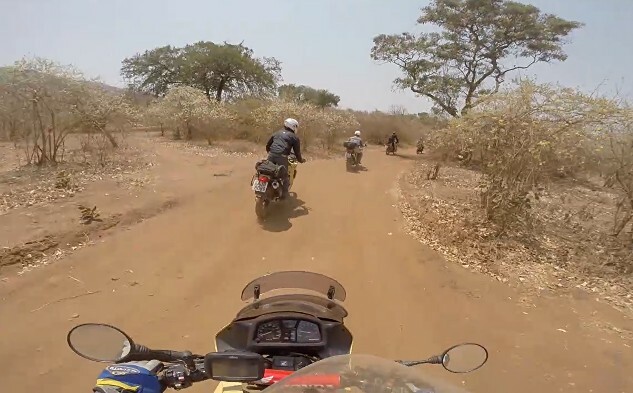 At the end on the tour, we will ride a gravel and dust stretch through the villages to reach a spectacular viewpoint on the Batoka gorge to have lunch in a lodge. 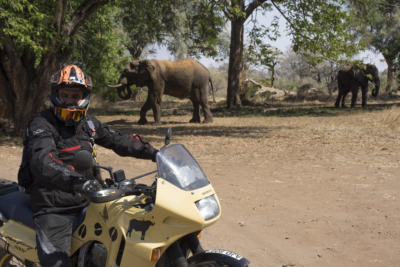 Rturn to Livingstone after lunch and Rhino Game drive in the Mosi-oa-Tunya National Park where we will try to spot some of the last remaining white rhinos in Zambia. Dinner not included and night in the lodge. After breakfast, a short game drive will bring us out of the Park and we will find our motorcycles, to proceed for approximately 350km of tarmac road to Gweta. Check in is at Planet Baobab in en-suite chalet. 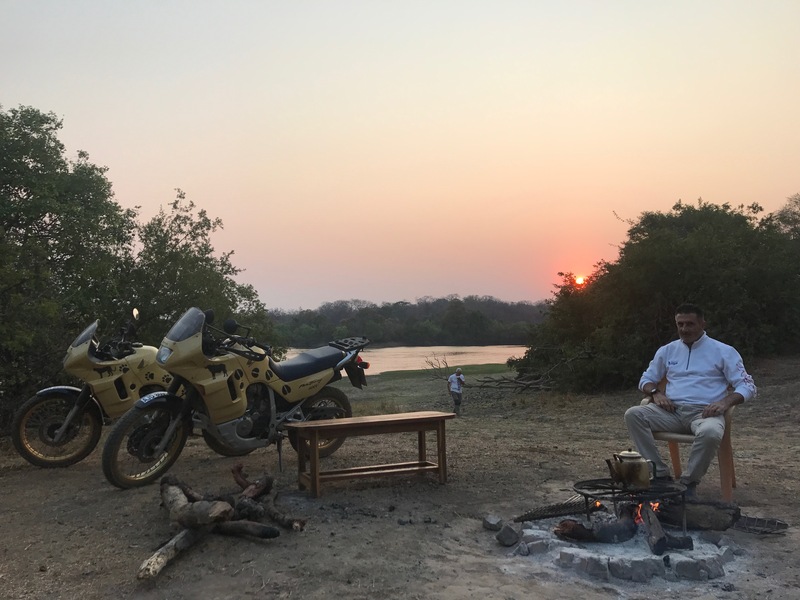 In the afternoon is possible to take the motorcycle for a tour of the surrounding areas or join a Baobab nature walk, followed by a sundowner drink. dinner at the lodge and night lodging. 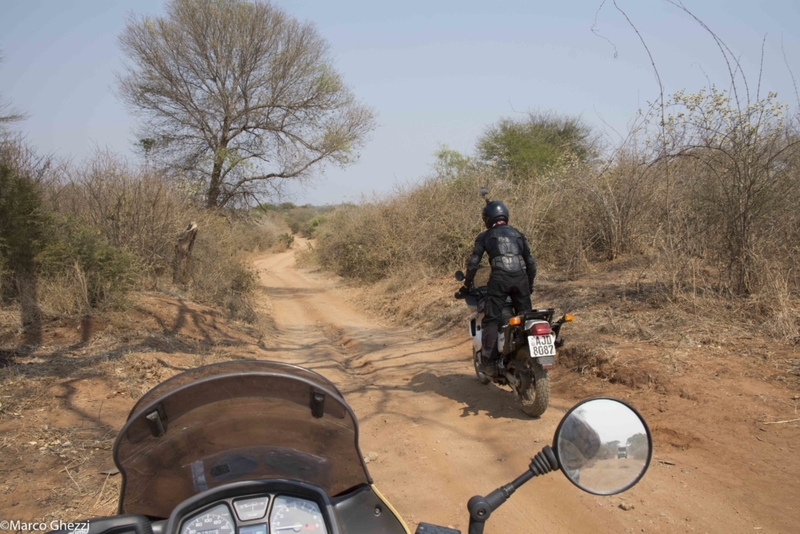 We will leave the motorcycles at the lodge today, for a different type of off-road adventure! 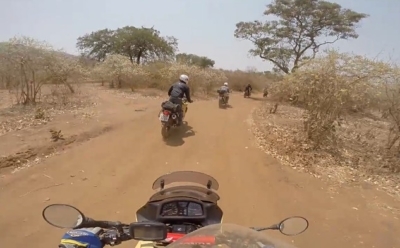 At first, we will drive to Gweta to learn more about the village and the local traditions, then we will get on Quad bikes to cross the salted Makgadigadi Pan desert. Dinner around the fire and night under the stars. In the morning we will have breakfast and return to the lodge. 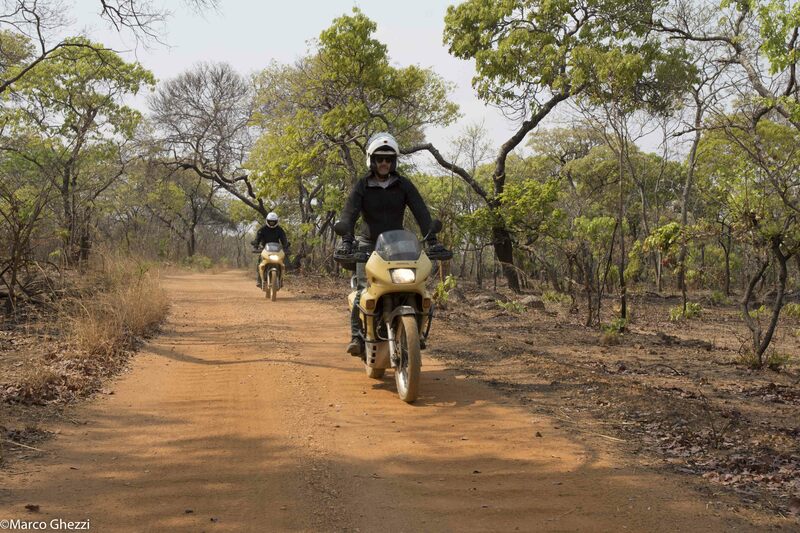 Here we will climb on our bikes once more for another 350km of tarmac road to Maun. Arrival by lunchtime and check in at our accommodation. Afternoon available for relax and dinner in Maun. We will ride for the approximate 80km of mixed road (tarmac, gravel and dust) that separates Maun from the southern Gate of the Moremi Game Reserve. 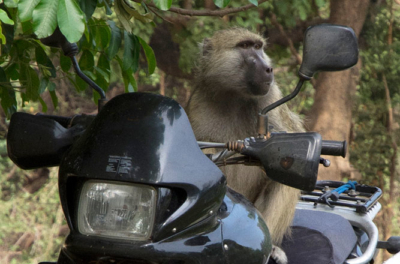 once at the gate, we will leave the motorcycles and continue on a safari vehicle for breathtaking day inside the National Park. 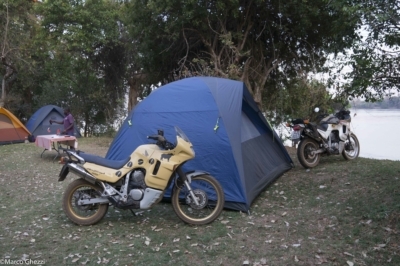 night will be spent camping in an unfenced area (wild camping). All meals prepared by our accompanying chef and night around the fire. 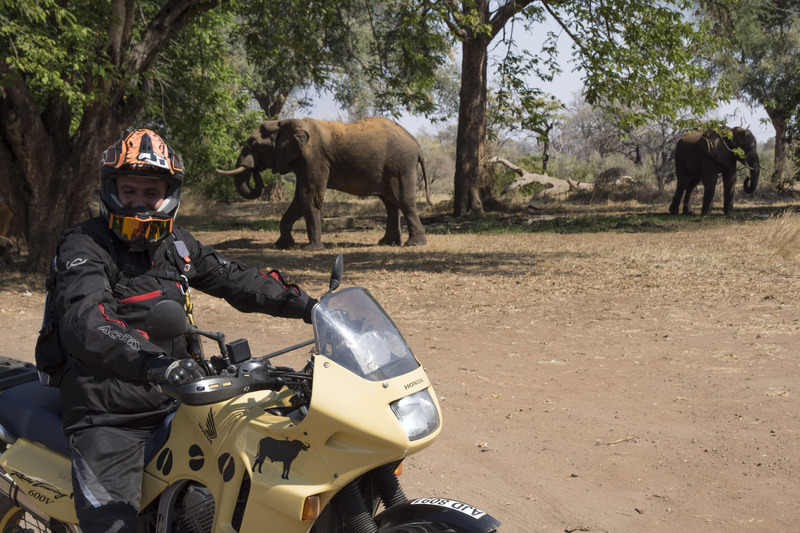 We will continue to explore the Moremi Game Reserve until lunchtime, when we will start our way back to Maun. After finding our motorcycles at the South Gate, we will return to our accommodation and have a farewell dinner to Botswana.